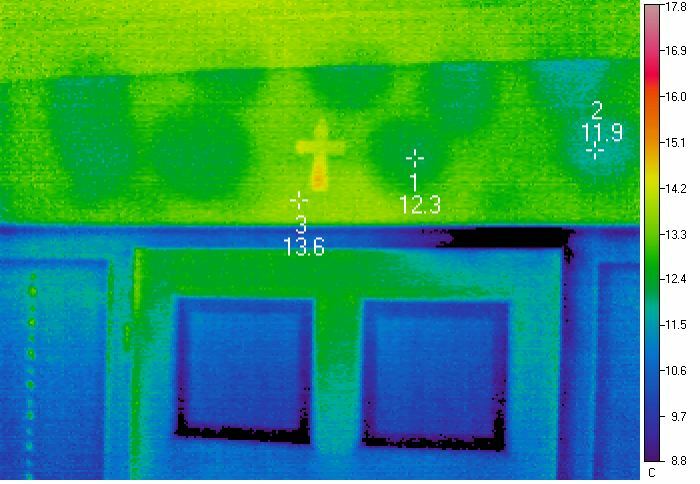 Thermal imaging is the use of a specialist infrared camera which detects infra-red radiation to find heat patterns. 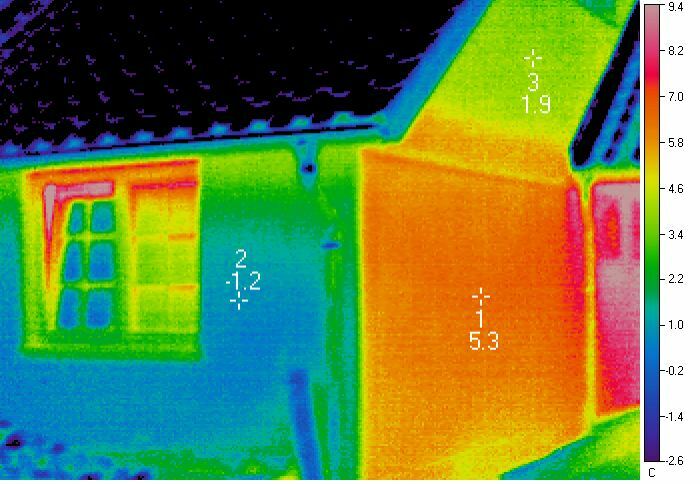 GreenBuild is PCN Level 2 certified for thermal imaging surveys in buildings - typically for finding heat loss and air movement. This can be done using thermography on its own to check the insulation of a building, or even better as part of a air pressurisation test (blower door test) to find air infiltration locations and pathways. 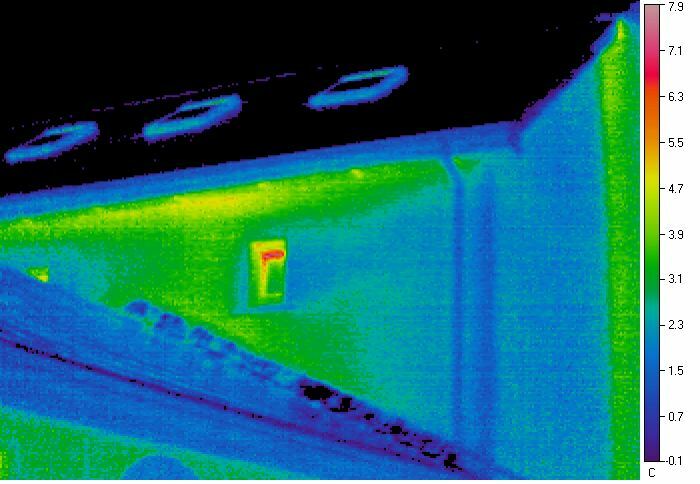 Other building applications for thermography include locating leaks in flat roofs, moisture ingress through walls, leaks in underfloor heating, or finding the underfloor pipe-layout pattern to avoid damaging the pipes during works. We offer several levels of service, from a simple walk around of your building, to a full and thorough inspection with detailed report. Greenbuild testing services can be offered as a package or on an individual basis to fully test and document the performance of your property. Our areas of operation are mostly the Midlands, East and South East of Ireland - Dublin, Wexford, Wicklow, Meath, Kildare, Laois for example, but we can travel where our particular expertise is required, or we may be able to recommend colleagues closer by. Also, if you are interested in Thermographic surveying for any other purpose, such as veterinary, electrical, cold stores etc. and cannot find a suitable operator contact us to discuss the possibilities.